Teaching can be an exhausting job and the people we teach with can be our true life lines to ensure our success at our jobs on a daily basis. 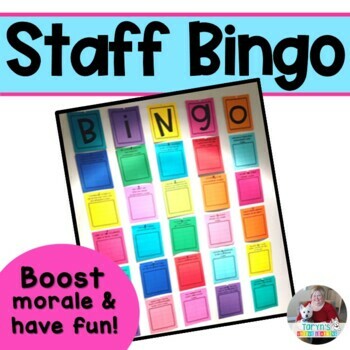 As head of my school Sunshine Committee, I have gone above and beyond to keep morale high and ensure that staff feels appreciated and has fun while at work. 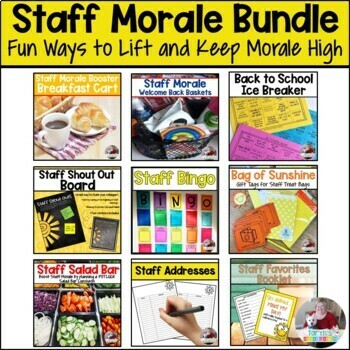 Included in this bundle you will find seven different products that I have created in order to keep my staff connected, get to know each other better, and have a great time while we are working our tails off to teach our students. You too can duplicate this fun in your own building, while saving over 20% while purchasing these products as a bundle. For a few other great items from my store, please check out the following that you may just find helpful as well! Be sure to follow me on TPT, Facebook, and Instagram so you can see how I implement all of these ideas in my own classroom and building. 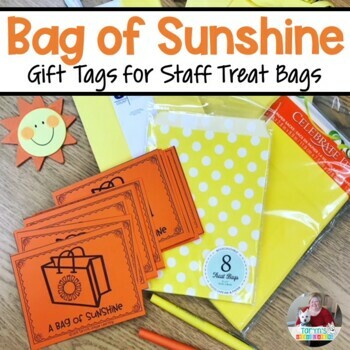 And of course, I would love to hear how these work in your own building so be sure to leave a rating and feedback for this and all TPT purchases.